As the first pods of humpback whales enter Queensland waters on their 2010 migration, the vessels in the Hervey Bay whale watch fleet are preparing to welcome the barnacled beauties back to their favoured holiday destination. There's no watching the whales pass by at Hervey Bay. The experience is totally "up close and personal" and it all takes place in sheltered waters, not the open sea. A whale watch encounter in Hervey Bay is time spent with the whales at play, its the joy of having a new mum trust the fleet enough to bring her baby over to the boat, and its cheering as friendly youngsters perform for their audience and show off newly crafted acrobatic skills. 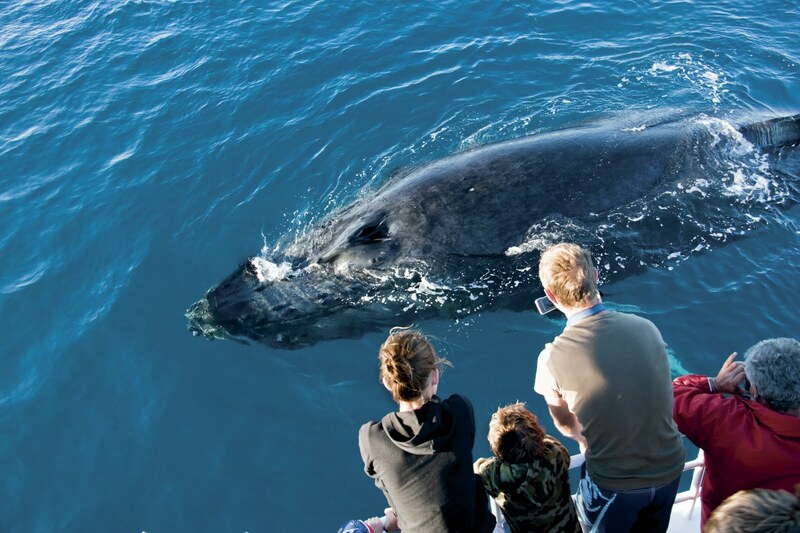 The 10 operators in the Hervey Bay fleet offer a selection of whale encounters ranging from short and sweet half day tours to leisurely full day sailing experiences. And for those with extra time, there are extended packages available showcasing the region's other natural wonders such as Fraser Island and Lady Elliot Island on the Great Barrier Reef. Nature also value-adds to the whale cruises with sightings of other marine life – dolphins, turtles, seabirds and often dugongs, all residents in the waters of Platypus Bay on the north-western end of Fraser Island where the whales take their annual vacation. Visitors arriving early in July can join a Whalesong Cruises "Whale Search" cruises for the chance to see some of the first whales to enter the Bay. Or later in the month they can choose from morning and afternoon cruises. A selection of extended packages are also available including a Fraser and Whales Superticket combining a whale watch cruise and a Fraser Island Company full day Fraser Island Safari; a Fraser Hummer Whales Package including whale watching and an island tour for a maximum of four people in a Fraser Island Company Hummer; and the 3 in 1 Eco Package including a Fraser Island tour, whale watching and a day tour to Lady Elliott island where you can swim and snorkel on the Great Barrier Reef. Hervey Bay Whale Watch's 'no frills but lots of thrills' cruises on the red rigid inflatable "That's Awesome" are available for dawn (7am-10am), day (10.30am-1.30pm) and dusk (2.30pm-5.30pm) patrols. From the same fleet, the larger Quick Cat II offers two cruises daily, a 7am departure and a 1pm departure. They also offer a Superpass including a morning whale watch, light breakfast, morning and afternoon tea and ranger-guided nature walk on Fraser Island. Kingfisher Resort Whale Watch Cruise guests also travel on Quick Cat II. Tasman Venture Whale Watching and Spirit of Hervey Bay Whale Watching Cruises half-day tours depart at 8.30am and 1.30pm. Spirit also offers Sunshine Coast departures for the whale watch cruises, and a Whales and Fraser Island Adventure Ticket including a full day Fraser Island Explorer Tour and a half day whale watch cruise. The luxurious Freedom Whale Watch III offers ¾ day cruises, as does Mikat Whale Cruises, fresh from a refit earlier in the year. For a more leisurely experience, Shayla Sailing Cruises and Blue Dolphin Marine Tours offer full day sailing and whale watching experiences with morning, afternoon tea and lunches included.